The ASSITEJ International Meeting is the biggest annual artistic gathering within the field of theatre for young audiences. It addresses practitioners and researchers from around the world to come together in order to discuss present day developments within the theatre for young audiences, to exchange experiences and work on the future development of this field. 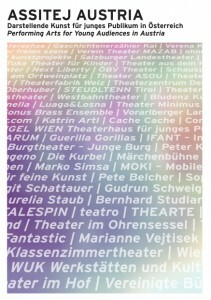 From 22nd-29th June 2013 ASSITEJ Austria in conjunction with the International Theatre Festival SCHÄXPIR invites artists from around the world to the ASSITEJ International Meeting in Linz! With the working topic FACING THE ARTIST seminars, discussions and workshops are dedicated to different aspects and topics such as music- and dancetheatre.